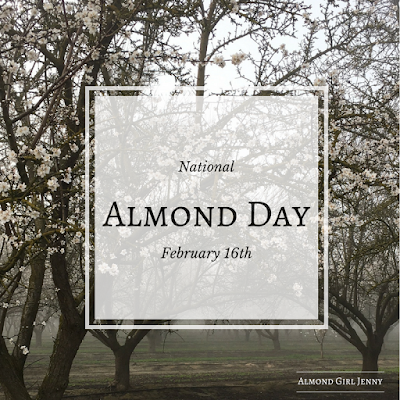 National Almond Day is a day to enjoy the beauty of the almond, the almond bloom and the almond tree. Besides the fact that almonds are a healthy nut and offer great amounts of protein and vitamins they are also a beautiful nut. 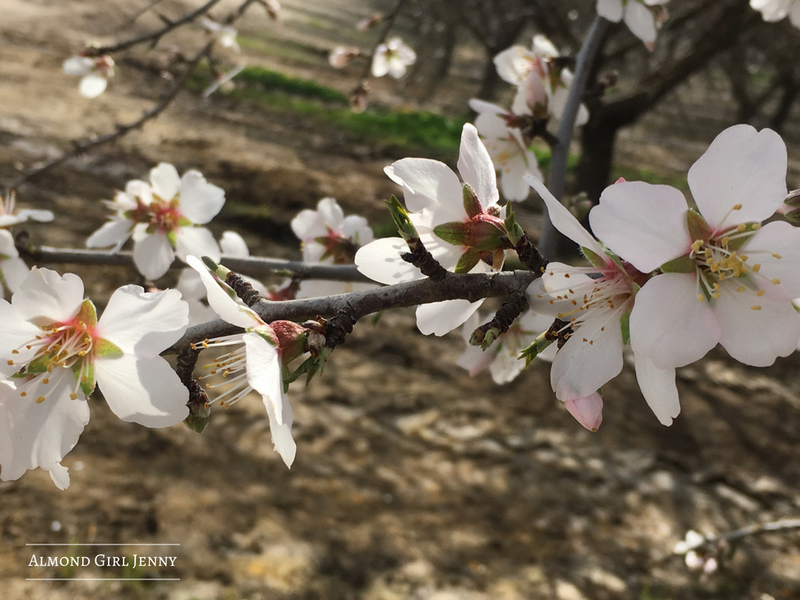 This time of year isn't just for a great family photo or one of best times for local photographers to get some great shots, it is a time to enjoy the lifecycle of the almond. I take this time to showcase how the almond gets a starts. That little bee needs the nourishment and protein from that almond bloom to be able to jump start it's spring. 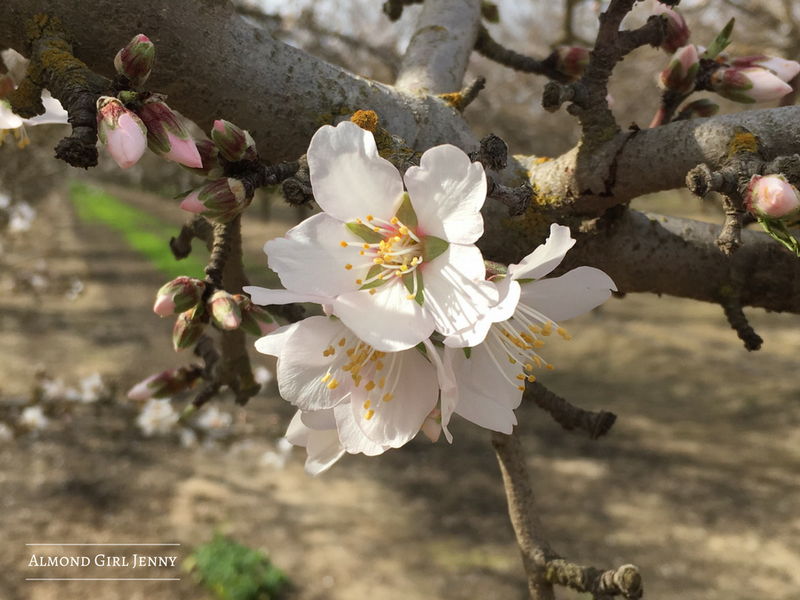 Almonds are the first nutritional crop the bees will be pollinating after a long and cold winter. 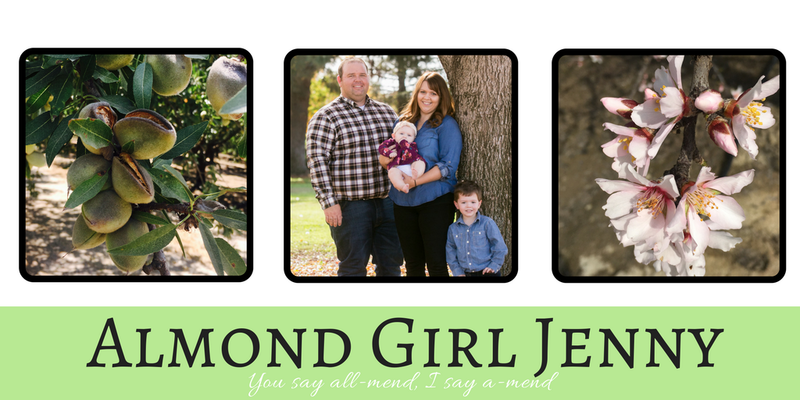 They look forward to almonds to give them that push of love and vitamins to make it through the year. Not only do bees need almonds, but almonds need bees. Without bees almonds wouldn't be able to be pollinated. 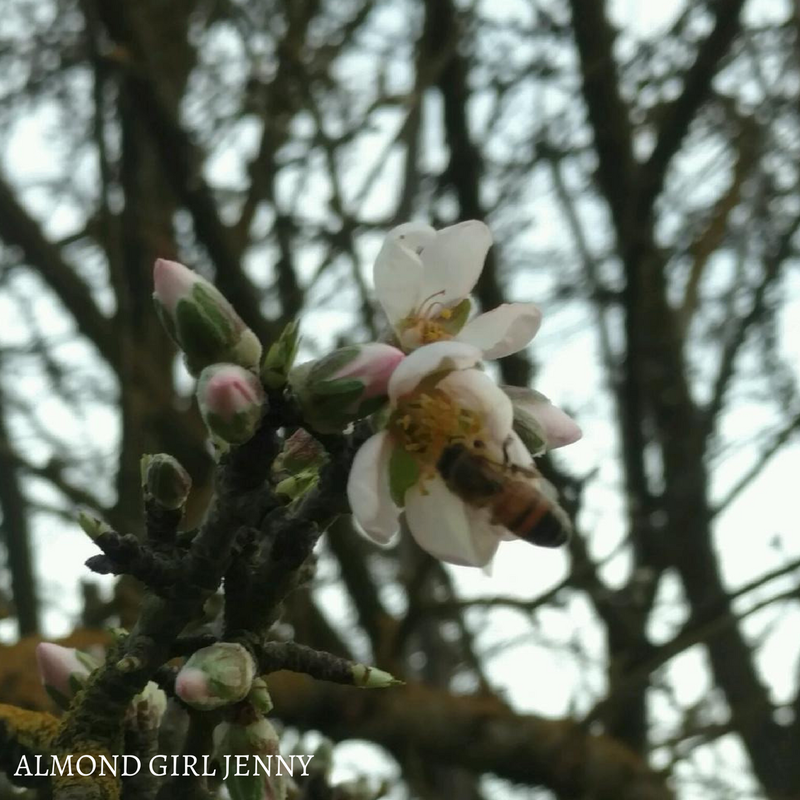 We need bees to cross pollinate the almonds and bring pollen from one almond variety to another. This ensures the almonds will develop into a delicious nut. The buds and blooms are signs of the tree exiting dormancy and waking up after their long winter nap. The blooms are a sign of new life, new beginnings and a new crop. Bloom set is what many look at as a market predictor to try and guess the crop yield. 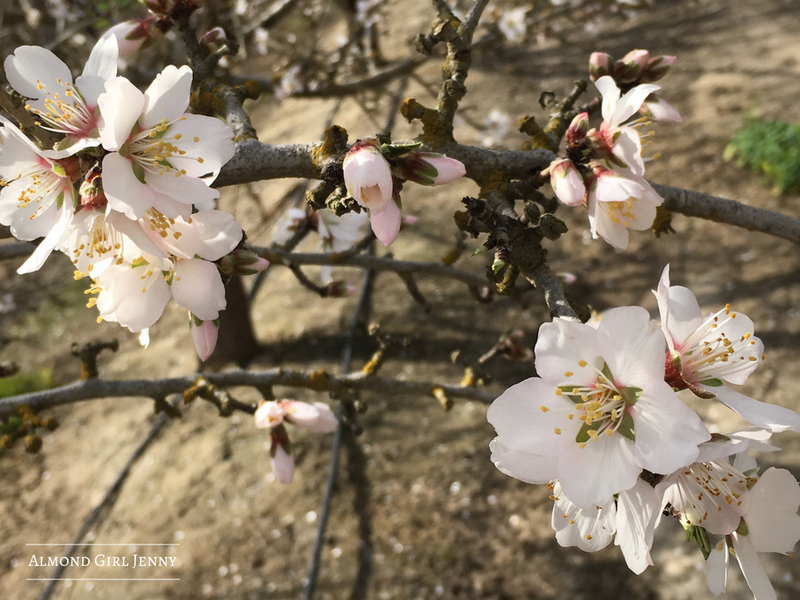 So many look at bloom as a time to start planning for harvest in a mere 6 months. There have been plenty of foggy mornings like this during our winter season this year. This keeps the temperature down and the bees asleep. We anticipate the warm afternoons where the bees can get out and bee active! Bees are picky and won't come out unless the temperatures are perfect and sunny. But too many sunny days will speed up bloom and make it happen to fast. Farming is all about balance and finding the happy mediums. We don't always get the ideal weather, ideal growing conditions or ideal days. But that is what makes farmers the eternal optimist. 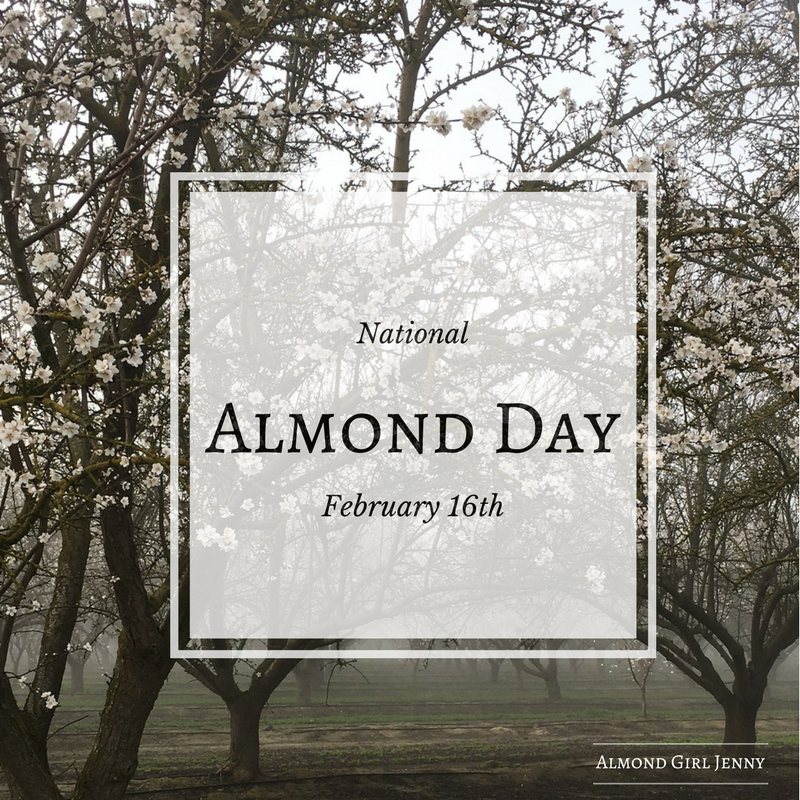 So today, let's celebrate almonds! Go eat a handful, feed a bee or just enjoy the beauty of bloom. So how do I get my hands on these tasty treats to celebrate the National Almond Day? 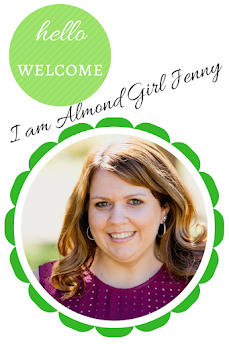 Enter to win and have a great National Almond Day! 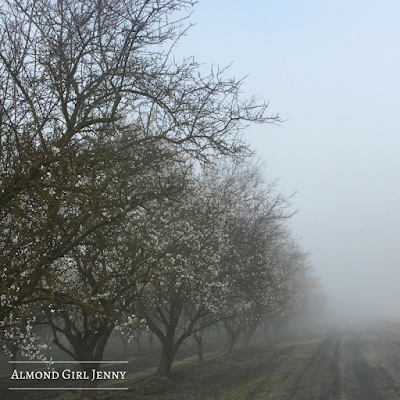 I hope you have a big yielding almond crop for 2017! I'm glad to hear that the bees are doing well. The bee guy that brings bees to our ranch in the summer, takes bees to California in the winter months. It sounds like the last few years have been hard on the bees.